The shortage of highly trained midwives in sub-Saharan Africa is a major challenge. In Ethiopia, for example, only 28 percent of women deliver with a skilled birth attendant. “Let’s invest in midwifery education, build more schools, properly educate teachers,” said Malata. And the investment needs to come not just from governments, but also the private sector, said Etiebet. Access to contraception is also critical to preventing maternal mortality because “without pregnancy, there would be no maternal death,” said UNFPA Midwife Advisor Dorothy Lazaro. More than 200 million women still have an unmet need to modern contraception, and women in remote areas of developing countries can spend days traveling to district health facilities, only to find their preferred method of contraception is unavailable. “Think about what impact that is having on their behavior, on their decision making,” said Mary-Ann Etiebet, Executive Director of Merck for Mothers. 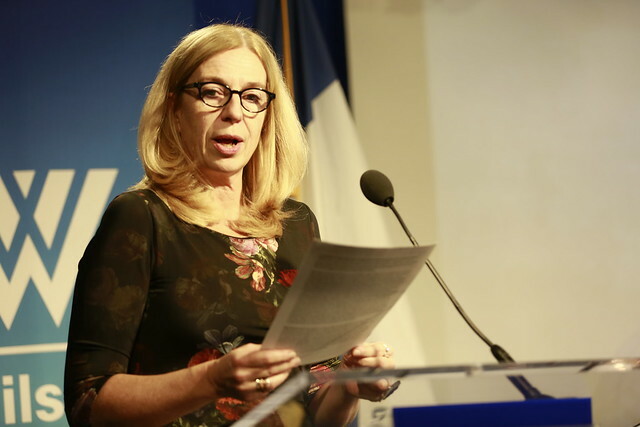 “Political leaders must have multi-sectoral approaches to maternal health” in order to meet these diverse challenges that block progress on reducing maternal mortality, said White Ribbon Alliance CEO Betsy McCallon. “Political will and leadership can change the game,” added Malata. To improve maternal health, care must not only be respectful, it must be women-centered. “It’s midwives, it’s our nurses, it’s our doctors, it’s our families that are taking care of women—and unless we invite them in and we listen to them…and their input is integrated into solutions, we’re not going to hit our goals,” said Etiebet. 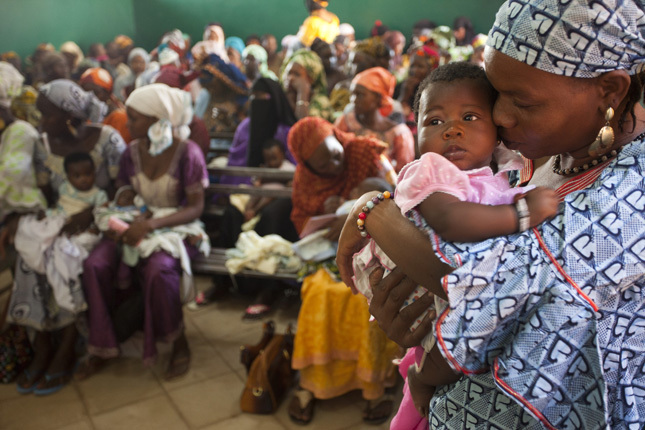 Photo Credit: Mothers wait to vaccinate their babies in Mali, November 2013, courtesy of the World Bank.